This is a savory dish with a hint of sweet. Very healthy and nutritious! Blend the garlic, paprika, turmeric, cumin seeds, some salt and half the olive oil in a food processor into a smooth paste. 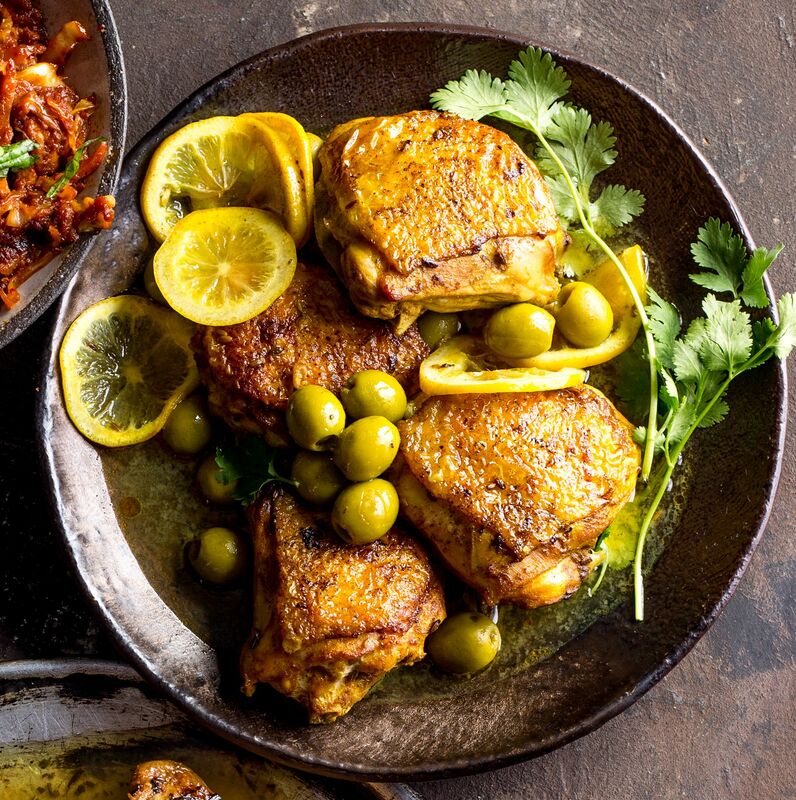 Heat the remaining olive oil in a large pan and add the onions and chicken thighs to cook on each side until golden-brown. Then, add the stock (and enough water to reach halfway up the chicken if needed), the lemon slices, olives and saffron and bring it to a simmer. Leave it to simmmer uncovered for 30 minutes, then stir through the coriander, season with salt and pepper, and serve.